This prestigious travel award is in recognition of Shangri-La, Kuala Lumpur’s impeccable services and excellent facilities. The Business Traveller Asia-Pacific Awards are the result of the annual Business Traveller Asia-Pacific Readers’ Poll which asked its subscribers, who are some of the region’s most frequent travellers, to vote for what they considered the world’s best business hotels and airlines. The TTG Travel Awards are organised annually by TTG Asia. The winners of the awards were determined by votes from the readers of TTG Asia, TTG China, TTG India, TTGmice, TTG-BTmice China, TTGassociations and TTG Asia Luxury. 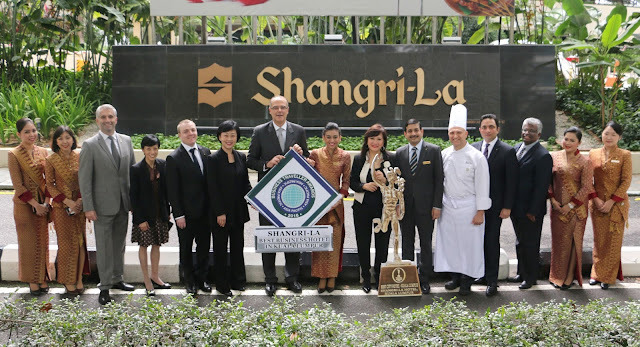 “We are so happy to have received the award for the Best City Hotel – Kuala Lumpur at the 27th Annual TTG Travel Awards 2016,” said Manfred Weber, Area General Manager of Shangri-La Hotel, Kuala Lumpur. “We are indeed honoured that TTG readers recognised our services and contributions and voted for us.